If one is considering buying property in Portugal either as an investment or second home then it may be said that one may still find a relatively good source and supply of cheap houses for sale. There are many areas of Portugal and especially outside of the larger cities where one can still find an excellently priced property that should see you in good stead for the future. If you are buying cheap property in Portugal either as a second property or holiday home then you may see a fair appreciation in its value as well as receive the benefit of being able to use the property for the time that it's in your possession. Many home buyers and investors are still purchasing cheap properties in Portugal and are simply letting them to the local tourist and foreign holiday maker either to provide an additional income or to contribute towards any outstanding mortgage payments, maintenance and general bills. Many of these homes are advertised on websites like Airbnb, Rightmove and the many others that are available. When buying property in Portugal for investment purposes we would recommend that you research the market thoroughly and always employ the services of a competent legal representative and remember, never stretch beyond your comfortable pre-set budget. October 2014: Given the recent financial crisis, house and property prices in Portugal have finally fallen and in tandem with the glut of properties on the market, serious seller's are finally being realistic with their asking prices, which has improved sales and given a solid base for eventual price increases in line with demand. 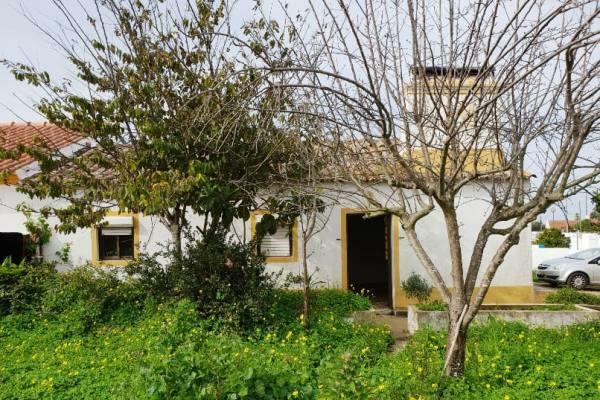 The majority of buyer's are placing offers way off the asking price, with many picking up bargain properties at a cheap price and therefore cash buyer's or those who have access to funds, now seems a great time to buy a cheap house in Portugal. February 2017: Lisbon is on fire and select areas within the Algarve and Cascais including Sintra and Estoril are moving up again. South of Lisbon, Comporta is probably the hottest area for French, Belgian, Swiss and British clients who are taking advantage of the location and beauty of the area. Properties in Comporta are not cheap, however, with a little diligence you can still find a good deal that will serve you well over the medium to long term. January 2019: Portugal has somewhat recovered from the 2008/9 property crash and has over the last five years seen an average price increase across the board of 12% per year. The most affordable properties are still be found in northern Portugal and the interior of Alentejo. To locate a cheap house in Portugal, simply complete the form below with as much detail as possible and we will see what we can find.